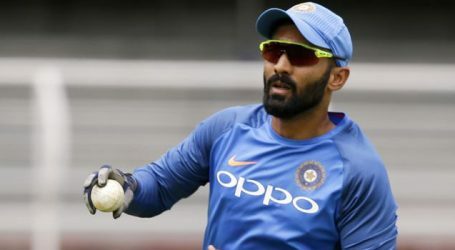 Dinesh Karthik played role of a 31-run to take India to a five-wicket win against the Windies in the first Twenty20 international (T20I) at the Eden Gardens in Kolkata on Sunday. 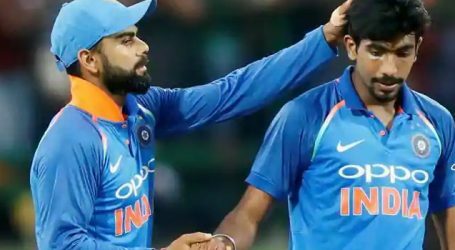 Debutant Krunal Pandya played supporting role to Karthik from the other end as India won with 13 balls to spare. India was chasing 110-run target, suffered top-order collapse, losing Rohit Sharma in the first over, after which Shikhar Dhawan followed suit. 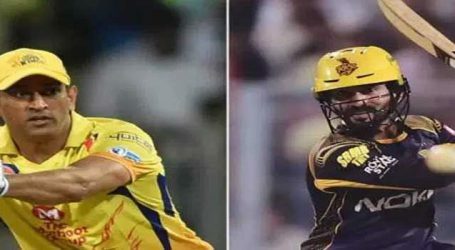 Then Karthik enforced a 38-run partnership with Manish Pandey to bring the Indian chase back to its feet. 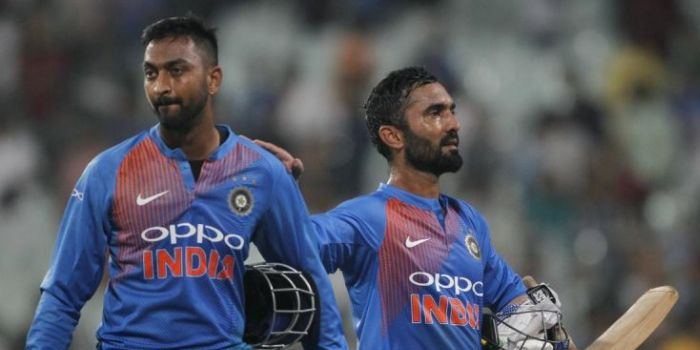 After Pandey’s departure, Karthik batted responsibly with Krunal Pandya to help India go one up in the T20I series. For the Windies, Carlos Brathwaite was the most successful bowler, who finished with figures of 2/11. Oshane Thomas also grabbed two wickets by giving away 21 runs. Spinner Kuldeep Yadav helped India restrict the Windies to 109 for eight. After winning the toss, India invited the Windies to bat and the visitors got off to a poor start, losing crucial wickets in quick succession. The Windies tailenders tried to to bring the Windies back on track but failed against the likes of death over specialist Jasprit Bumrah. Allen (27) was the top scorer for the Windies. 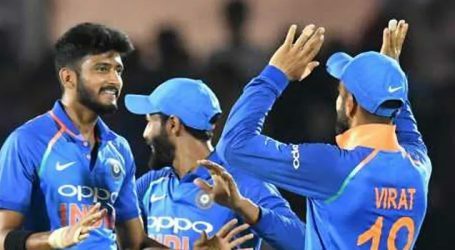 Khaleel Ahmed, Jasprit Bumrah, Krunal Pandya and Umesh Yadav bagged a wicket a piece for India.